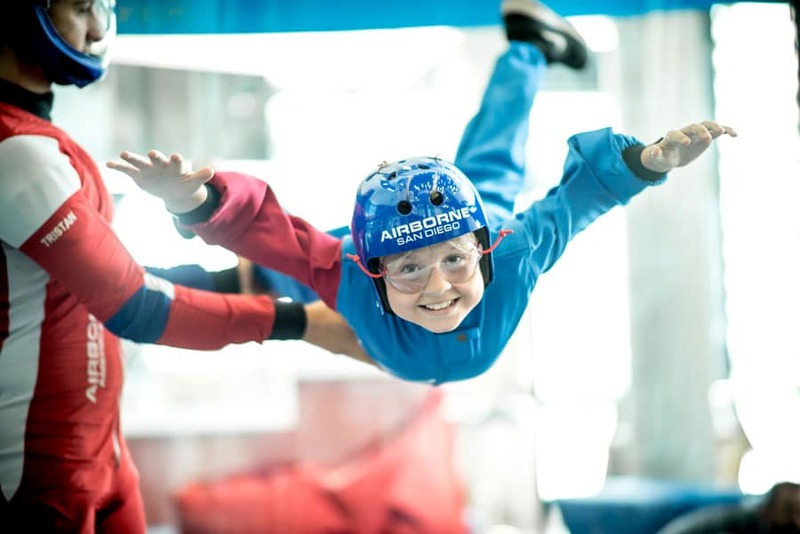 As of September 26th, Airborne has been declared 'closed until further notice'. 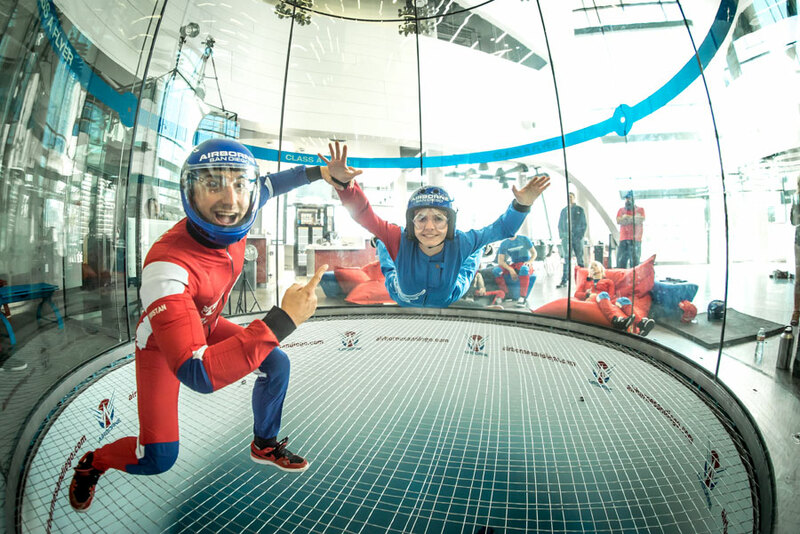 Please see: iFLY San Diego for the closest indoor skydiving facility. 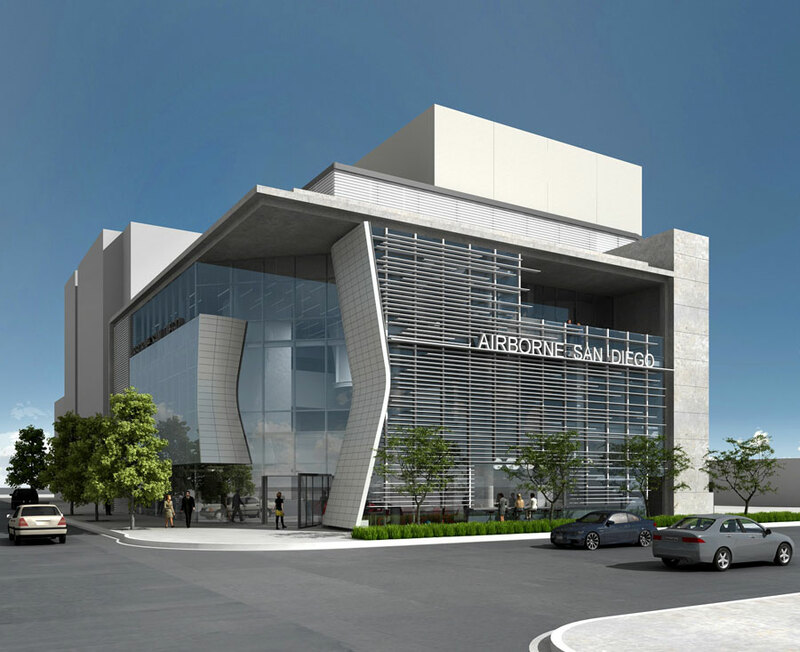 Airborne San Diego is a massive 21,368-square-foot dual wind tunnel facility. The location brings a fresh new look to the US tunnel scene with dual 14 foot flight chambers, the first of it's kind worldwide. The building also features a range of amenities including viewing decks, BBQ areas, a cafe and more. This facility marks and important landmark as it is the first tunnel is the first modern wind tunnel in the United States that is not a SkyVenture made facility. 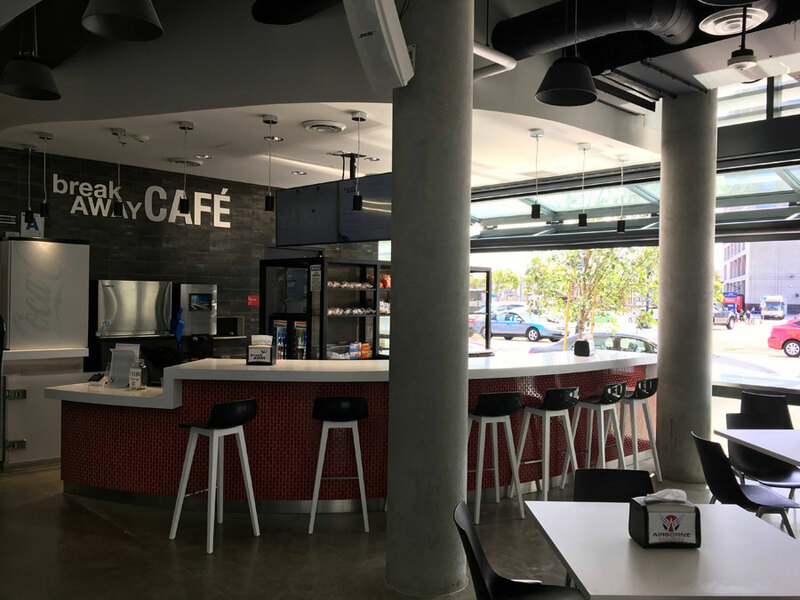 This location sits near the iFLY San Diego location which was opened in 2015. The owner Buzz Fink was a previous owner of SkyVenture Orlando, now known as iFly Orlando, before selling his portion. Announced via an article from the San Diego Tribune, the manufacturer for this tunnel is Maryland based Aerolab.